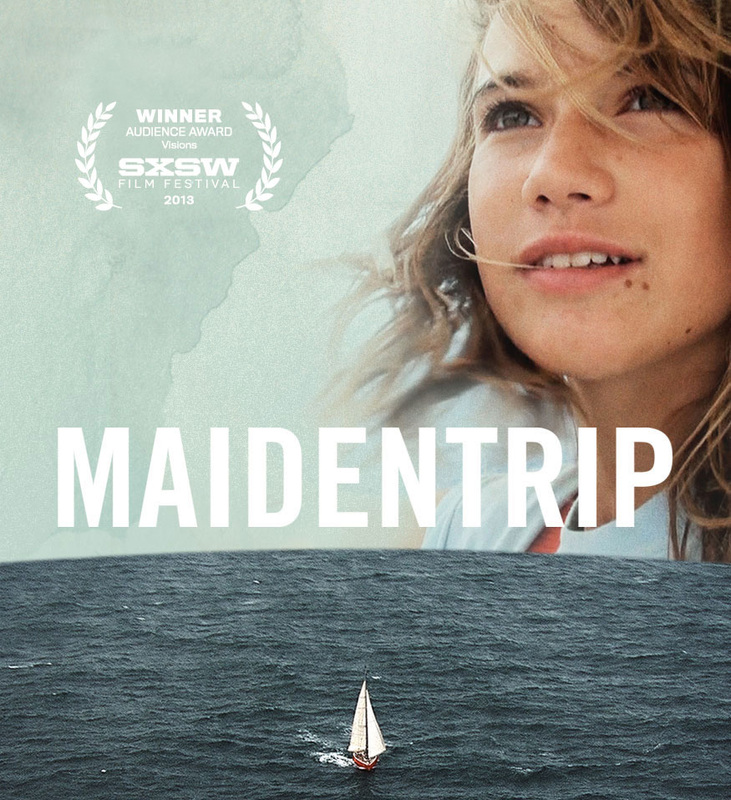 “Maidentrip” is a well-received documentary about a fourteen year-old girl, Laura Dekker, who attempted to become the youngest person to sail alone around the world. The film was directed by Jillian Schlesinger. It premiered at the 2013 SXSW festival where it won the Audience Award. 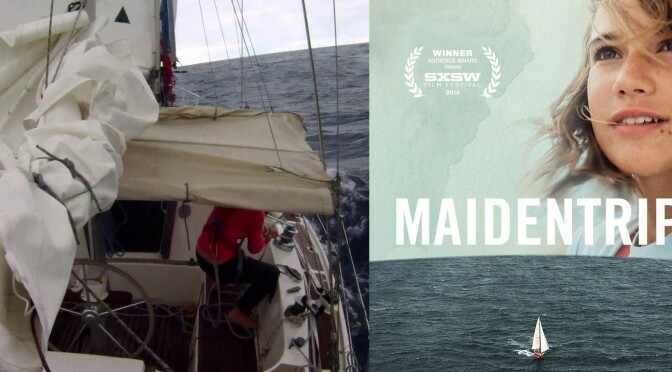 It is a remarkable film about the remarkable Laura Dekker, but “Maidentrip” is also note-worthy because of the figure of Jillian Schlesinger, who – as a first-time director – had to overcome many challenges in order to make this documentary. Schlesinger became aware of Laura Dekker in 2009. At that time, the courts in Dekker’s native Holland tried to prevent her voyage, deeming that a minor should not be allowed to put herself in such a danger. The story got the attention of major press, including in the United States, and that’s how Schlesigner learned about this brave young woman from Holland. Schlesinger sympathized with Dekker and was fascinated by her. She also found a story that she was passionate about as a filmmaker and believed she was the best person to tell it. The problem was that she had no experience as a director (she did work in the film industry, but only as a production supervisor at Sundance Channel). In fact, she had not even directed a short film. Despite no film credits to her name, she reached out to Dekker to see whether the two could collaborate. However, her emails went unanswered. As it turned out, Dekker was already getting a lot of attention from filmmakers and Schlesinger’s inquiry did not stand out. Rather than give up, Schlesinger redoubled her efforts. She teamed up with a graphics artist she found on Craigslist to create mood boards and illustrations to better convey her vision of the film. She sent those to Dekker, but also included a personal letter explaining why this project was so important to her. This time Dekker did respond and invited the aspiring director to her home in Holland. So, Schlesinger got herself a flight – thanks to her grandparents’air miles – and went to meet Dekker. The two quickly became friends – they biked around Holland, spent time on Dekker and her dad’s boat. The two women agreed to make the film together, that is, if Dekker got the permission to sail and Schlesinger got the funds to film. About a month after this visit (on July 27, 2010 to be exact), Dekker got the permission from the Dutch courts to sail and, with that, another major obstacle was cleared. The girl did not waste any time and sailed off from Holland just eight days later. When it comes to financing the movie, however, Schlesinger was just starting. She had her grandparents’ air miles (she used them again to pay Dekker a quick visit just before the girl sailed off) and $5,851 she raised through Kickstarter. She actually ran this campaign even before she met Dekker and got her agreement to collaborate. The fact that she did all the work that was necessary to run this campaign without having any assurances that Dekker would even want to work with her shows that Schlesinger had a lot of belief in herself and the project. Schlesinger raised the Kickstarter money in order to make a 5-minute trailer for grant applications and to find investors or donors. She raised some money but struck out on grants. In order to get the film shot, Schlesinger had to take on extra jobs (working two shifts on many days) and save whatever she could – while Dekker continued her voyage. Towards the end of the shoot she also had to reach for her credit cards. So, while Dekker was battling the seas, the filmmaker had her own struggles in getting the funds. Finally, after sixteen months, Dekker reached her destination and Schlesinger had her footage. Of course, there were still a lot of expenses to be incurred in post-production, but because the film was already “in the can” and Dekker was making the news thanks to her achievement, it was easier to secure funds. Schlesinger was able to team up with Pilot, a production company from New York, which allowed her to hire an experienced editor, Penelope Falk, and complete the film. So, just like Laura Dekker’s daring voyage, the making of “Maidentrip” was a long and difficult process – it took three and a half years to complete the documentary. Schlesinger set off on this adventure with no directorial experience or short film credit to her name. She had more important qualities, though, like confidence in herself as a filmmaker. That allowed her to take chances, make sacrifices and persevere through many struggles. If she waited for someone to hire her, to give her a chance to make a directorial debut, she would have never made this film. It was her will that made it a reality. Hopefully, the example that Laura Dekker and Jillian Schlesinger have set will give courage to indie filmmakers and all those who undertake their improbable ventures. You can watch “Maidentrip” on Netflix if you are in the U.S. You are out of luck if you are in Canada or many other countries. Those interested in what Laura Dekker is up to these days can visit her website.